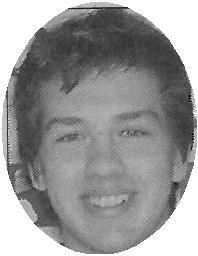 At Claresholm, Alberta, on Thursday, December 15, 2011 of Mr. Tanner Keith Craswell of Charlottetown, age 22 years. Loving son of Keith and Cindy (Robison) Craswell and dear brother of Adam MacDonald and Melissa Hall. Uncle of Abigail and Alex Hall. Tanner will also be sadly missed by his aunts, Diane (Emmet) Aylward, Dale (John) Mallory, Marlene Robison, Leona (John) Farrar, Carol Robison (Ed Morrissey), Janice (Donald) MacMillan, Lisa (Vernon) Clark, and numerous cousins. He was predeceased by his grandparents, Mervyn and Mary Robison and Elmer and Lois Craswell. Resting at the Hennessey Funeral Home until 9:45 on Friday morning, then transferred to the Church of the Most Holy Redeemer for funeral mass at 10 a.m. Interment will follow in St. Eugene's Parish Cemetery, Covehead. If so desired, memorial contributions may be made to Kidsport. Online condolences may be made at www.islandowned.ca.